Alpha Leadership: Week Three | Grand Central Magazine | Your Campus. Your Story. Week three of Alpha Leadership started off in bright colors and spirits as students started the awaiting challenge course. Over the past couple of weeks, students in the Alpha Leadership program have been learning personal leadership styles, and this week they were able to put them to the test. Five obstacle courses were set up for each of the teams to learn and lead together. “Each course requires team work, communication and to think through each of the ongoing events,” said Central Michigan University senior Jenn Drum, assistant to the Alpha Leadership program. Drum also noted one of the obstacles teams have to overcome is in representation of the David Garcia Project, a program put on through the Mary Ellen Brandell Volunteer Center. The program works to promote and advocate for students with disabilities by educating students on the differences between people. As students shifted difficultly through the courses they gained a better understanding for different leadership styles and how to use their different styles in a way that would allow them to reach the goal of the obstacle. Senior Patrick Salo, facilitator of the Green Team, mentioned week three is his favorite week in the Alpha Leadership program. “I love that students get to work together and figure out the challenges and how to overcome them as a team,” Salo said. By the end of the obstacle course, students gained knowledge in areas including communication, teamwork and leadership. 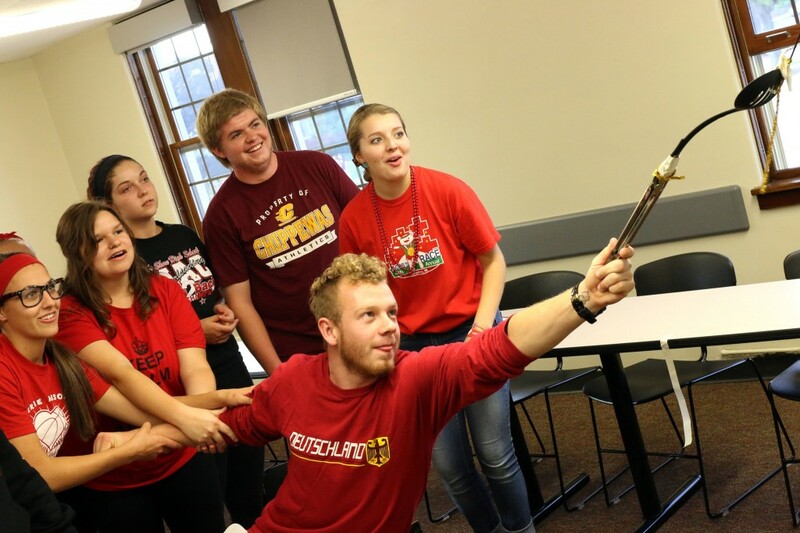 Students are almost at their final destination of finding their own leadership styles and putting these styles to good use in their future as students at CMU. Separator image Posted in Campus, Community, Students, Students and tagged with Alpha Leadership, Campus Life, Central Michigan University, Leadership, Megan Zaleski.